I knew all about it then, and see recent pictures of it now, but I know nothing of what occurred during the 50 years in between. 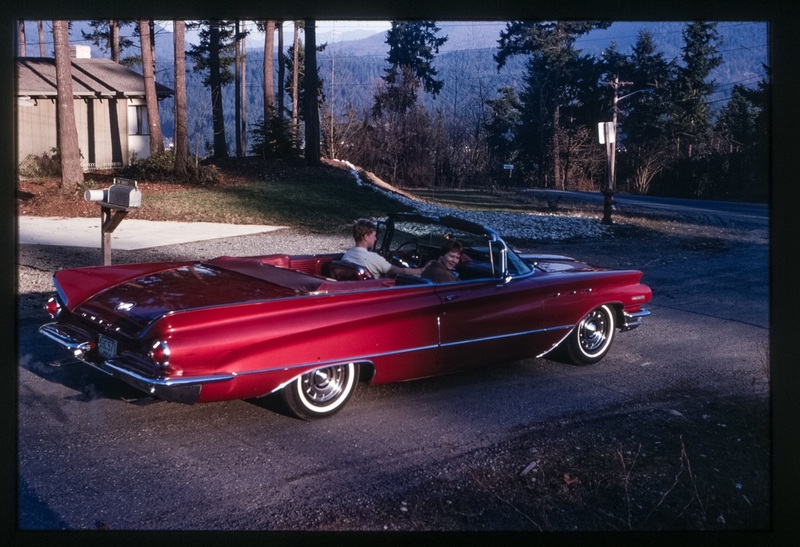 My first car, a 1960 Buick Invicta Custom Convertible, passed quickly through my grip in 1967. At age 16, I wanted something more modern with full factory rear wheel openings, so later in 1967 I bought a 1963 1/2 Falcon Sprint (which was lots of fun with its lightweight unibody, 4-speed and 260 V-8, but still had angled rear wheel wells causing my wider tires’ sidewalls to rub on the lip) and traded up to a 1966 Mustang GT Convertible by 1968. I lost track of the Buick quickly after selling it in late ’67, but it left an ever-lasting impression. In particular, the now famed and valued metal-backed factory leather seats and padded center console had a feel and aroma I can still “smell.” Classic then, classic now. The “speed minder” that set off a buzzer made an impression–115 was the highest setting, which set up a challenge to make it buzz when set there. The Dynaflow was weird, but a jack-rabbit takeoff could be achieved in “L.” The foot-operated radio wonder bar was a fave too, not to mention the accelerator-pedal-start feature. 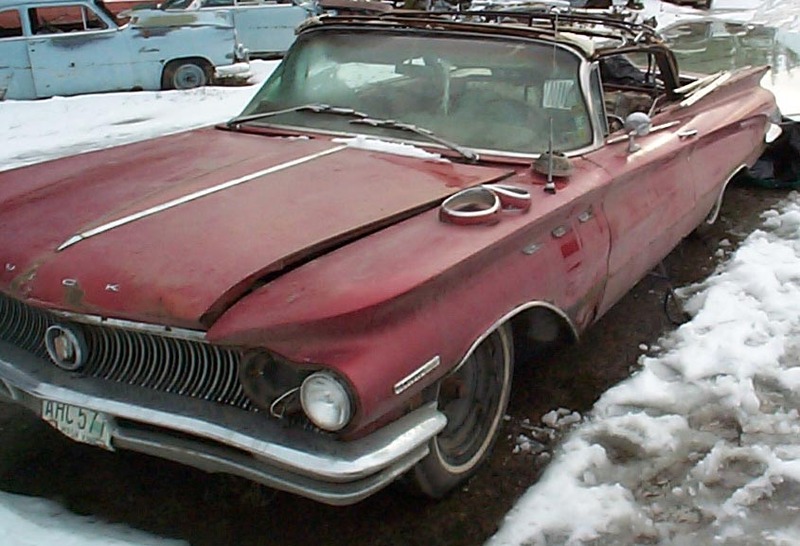 But lately, my friend tracked down an abandoned B60 ICC (1960 Buick Invicta Custom Convertible) that circuitously made it from western Washington, through the northern Idaho junkyard in the shown here, to where it now sits unrestored in Canada. That latter fact has not been verified for awhile, so its current situation is only supposed–maybe it’s fixed up by now. I was initially skeptical that it could possibly be “the one” but was later assured–I even talked with the Canadian owner. The clincher for verification was the sighting of the AHC 571 license plate on the front of the car in both the 1967 and 2000s photo. I’d also told my friend that I had replaced the factory clock with an aftermarket tachometer while he was researching the car’s whereabouts and darned if the junkyard shots didn’t show that it was still in place too!